There are other engineering occupational classification not yet covered in this site. They will be called as other Professional Engineers. This group of engineers includes agricultural and bio-resource engineers, biomedical engineers, engineering physicists and engineering scientists, marine and naval engineers, textile engineers and other specialized engineering occupations. 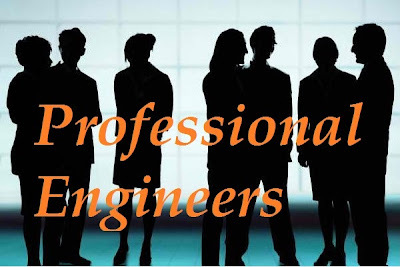 The following is a summary of the main duties of other professional engineers. Agricultural and bio-resource engineers design and develop machinery, structures, equipment and systems related to agriculture and food processing. Biomedical engineers design and develop medical diagnostic and clinical instrumentation, equipment and procedures; develop devices to assist persons with disabilities; advise hospital administrators on planning, acquisition and use of medical equipment; and modify and install or supervise installation of equipment. Engineering physicists and engineering scientists conduct research, develop processes, programs and equipment to expand fundamental knowledge in the applied sciences and engineering and to support advanced engineering and scientific applications. Marine and naval engineers design and develop marine vessels and floating structures and associated marine power plants, propulsion systems and related systems and equipment and oversee the building, maintenance and repair of vessels and marine systems. Textile engineers design and develop processes, equipment and procedures for the production of fibres, yarns and textiles.